Chloe Noel Blade Covers - Bumble Bee- Chloe Noel Blade Covers are soft blade covers with extra stuffing for blade protection. Roller skate saddle bag comfortably accommodates your skates, roller skate tools, extra toe stops and extra wheels. Roller skate saddle bags are the easiest roller skate bags to use. 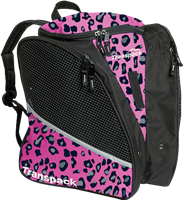 Lenexa Skates Bag Pink are the easy roller skate bags to use and lightweight. Shoulder strap included. Lenexa Skates Bag Black are the easy roller skate bags to use and lightweight. Shoulder strap included. Lenexa Skates Bag Sky Blue are the easy roller skate bags to use and lightweight. Shoulder strap included. 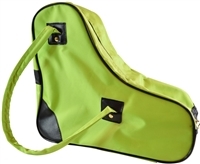 Lenexa Skates Bag Lime are the easy roller skate bags to use and lightweight. Shoulder strap included. Lenexa Skates Bag Red are the easy roller skate bags to use and lightweight. Shoulder strap included. Roller skate saddle bags are the easiest roller skate bags to use. Throw them over your shoulder in this classy remake of the 70's standard roller skate saddle bag. Roller skate insoles for Low tops and Womens Skates, especially Riedell skate boots. Riedell Textured Poly Lace - White - 54"
Riedell Textured Poly Lace White 54"
Riedell Textured Poly Lace - White - 63"
Riedell Textured Poly Lace White 63"
Riedell Textured Poly Lace - White - 114"
Riedell Textured Poly Lace White 114"
Riedell Textured Poly Lace - White - 120"
Riedell Textured Poly Lace White 120"
Riedell Poly Spun Lace White 72" - The Poly Spun lace material has greater strength and is more puncture proof than other material making it more durable and reliable for roller skates or ice skates. Riedell Poly Spun Lace White 114" - The Poly Spun lace material has greater strength and is more puncture proof than other material making it more durable and reliable for roller skates or ice skates. Lexol 8oz Leather Conditioner - Nothing beats Lexol for keeping leather clean, soft, and durable. Lexol-pH deep cleans and foams away dirt and oils that build up on leather articles. Did you know a typical leather boot can soak up to a pound of excess water? Sno Seal® is a beeswax-based waterproofing formula that protects boots from moisture build up. The formula dries as solid wax, so it stays on your boot longer to keep your whole boot dry, warm, and light. Chloe Noel Blade Covers - Panda - Chloe Noel Blade Covers are soft blade covers with extra stuffing for blade protection. Custom BladeGards Spring Set - Replacement Spring Set for the A&R Custom BladeGards. MiniGard Keychain - These keychains are a great accessory and a fun little gift for anyone who loves Ice Skating. Chloe Noel Blade Covers - Dog - Chloe Noel Blade Covers are soft blade covers with extra stuffing for blade protection. Riedell Textured Poly Lace Black 100"
Riedell Textured Poly Lace Black 108"
Riedell Poly Spun Lace Black 72" - The Poly Spun lace material has greater strength and is more puncture proof than other material making it more durable and reliable for roller skates or ice skates. Riedell Poly Spun Lace Black 108" - The Poly Spun lace material has greater strength and is more puncture proof than other material making it more durable and reliable for roller skates or ice skates. Riedell Poly Spun Lace Black 114" - The Poly Spun lace material has greater strength and is more puncture proof than other material making it more durable and reliable for roller skates or ice skates. Riedell Textured Poly Lace White 72"
Riedell Textured Poly Lace White 81"
Riedell Textured Poly Lace - White - 100"
Riedell Textured Poly Lace White 100"
Riedell Textured Poly Lace White 108"
Riedell Poly Spun Lace White 81" - The Poly Spun lace material has greater strength and is more puncture proof than other material making it more durable and reliable for roller skates or ice skates. Riedell Poly Spun Lace White 90" - The Poly Spun lace material has greater strength and is more puncture proof than other material making it more durable and reliable for roller skates or ice skates. Riedell Poly Spun Lace White 100" - The Poly Spun lace material has greater strength and is more puncture proof than other material making it more durable and reliable for roller skates or ice skates. Riedell Poly Spun Lace White 108" - The Poly Spun lace material has greater strength and is more puncture proof than other material making it more durable and reliable for roller skates or ice skates. Ten Seconds Hockey Laces Black 96" - Flat athletic hockey laces built to be durable and reliable under stress. Ten Seconds Hockey Laces Black 108" - Flat athletic hockey laces built to be durable and reliable under stress. Figure Bladegards Centipede - Black - Ice Skate Guards are an essential piece of equipment for your ice skates. Traditional Roller skate Case / Box. Choose your color trim from blue- brown- pink- red- or all black!